Fashion brands are turning the tide, demonstrating that you don't have to give up style to do good in the world. In honor of Giving Tuesday, an e-commerce holiday that encourages fashion and beauty brands to give a portion of their proceeds to charity, we're celebrating the companies that are doing good, today and every day. These brands have built innovative, alternative business models in order to combat our world's ills—poverty, gender inequity and bullying, for example—and offer products that allow consumers to look good on the outside and feel good on the inside. Promoting sustainable and socially conscious practices, celebrities are happy to support these businesses. From necklaces that decrease homelessness to fair trade marketplaces, Hollywood stars are sporting products that give back. For example, purchasing Priyanka Chopra's purse today (as seen here) will result in a donation to Baby2Baby, a nonprofit that provides low-income children with diapers, clothing and other necessities. Today, we're honoring fashion brands that are giving back and doing good. Because of them, we can be fashion-forward and do gooders all at the same time. Shop the brands below! Lauren Conrad Opens 1st Store for Nonprofit "The Little Market"
Today, Reese Witherspoon's fashion brand is putting sisterhood first with a limited-edition line that donates one hundred percent of proceeds to Girls Inc., an organization that promotes the development of girls and young women. 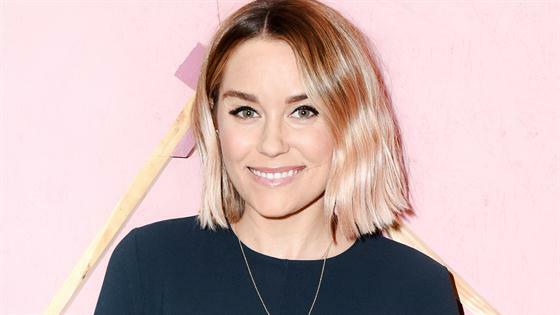 Lauren Conrad's nonprofit, The Little Market, doubles as a fashion-forward store, where you can buy fair trade products from women all over the world. The British-born fashion designer, responsible for Meghan Markle's wedding reception dress, has built a reputation for her sustainable practices, leading the way for other fashion designers. Her brand's mission states, "Each decision we make is a symbol of our commitment to defining what the future of fashion looks like. From never using leather or fur and pioneering new alternative materials to utilizing cutting edge technologies, pushing towards circularity, protecting ancient and endangered forests and measuring our impact with ground-breaking tools." While this brand has a cult following that includes Meghan Markle, Taylor Swift, Lucy Hale and more, it's a leading brand in terms of sustainability. "Sustainability is at the core of everything we do—all our garments are made from super sustainable materials, rescued deadstock fabrics and repurposed vintage clothing," the company states on its website.